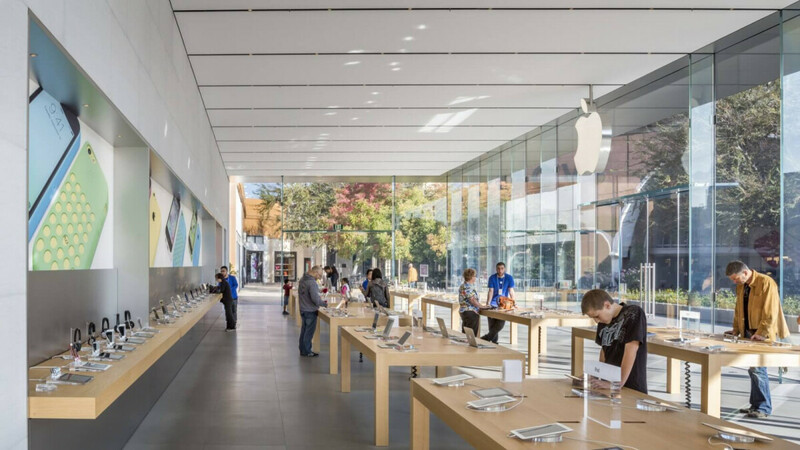 Apple Stores in Sacramento, California are now guarded by the police. These extra safety measures have been taken by the tech giant following a theft epidemic that was apparently orchestrated by a local crime ring and in spite of the fact that 17 suspects have been apprehended in relation to the crimes so far. It is estimated that over the last few months, over $1,000,000 worth of Apple merch has been stolen from brick and mortar outlets across 19 counties in California. According to CBS Sacramento, no taxpayer dollars are at use for the extra work, as the law enforcement muscle is privately contracted by Apple. Officers are more effective in apprehending thieves than mall security since they can venture outside of mall territory and call for backup should an incident occur. The police is mostly employed in Bay Area malls during large events and holidays, but this slightly unusual appearance is proving to be effective - both the Roseville and Sacramento Apple stores have incident-free since constables were assigned to them. How are they able to steal them in the first place? I thought those devices were secured to their displays? Even if they were to steal them, they would become paperweights due to blacklisting and iCloud Lock. to someone who just wants an iphone that doesn't know about any of the iCloud locking or any of that, a $99 iPhone X would be a dream. I'm sure they were selling them to unsuspecting people. That's how crime/profit works. About time Apple, and prosecute those idiots to the full extent of the law. So now the other stores will be targeted. What are you talking about? Apple DOES help the police if the situation warrants it. Can't maintain a level of privacy if they were to cave to every single police request. Oh no, the guards are going to cut into Apple's profit margins.... no biggie, time to increase the prices. Apple customers are always willing to pay more. For those following at home, this loss equates to 0.0001% of Apple's valuation. If you made $50k a year, it would be like someone stealing a nickel from you. $1 million is about 8 phones, right? The way the Apple store is set up makes theft easy. You just have the devices laying on a table, and the stores are usually crowded. It wouldn't be that hard to make off with a couple of devices before anyone knows what's going on.